Prison is a terrible place. At the same time, it’s also the place in society that has the fittest and healthiest selection of men and women, considering on the outside a third of all people are obese. With nothing else to do all day but get fit, it’s no surprise that practically everyone who enters a prison gym is ripped. But at the same time ex-cons can teach ordinary people a lot about fitness. If they can get fit in the situations they are in, you have no excuse. First of all, they should provide all the inspiration you need to get fit. Ex-cons are in the worst of situations. They don’t have all the time in the world and they have no way of controlling their schedules. They have to work with what they have. Yet they achieve their goals because they have a desire to succeed. They want to achieve their goals, and they are going to do it no matter what. It demonstrates what you can accomplish with tenacity. Yes, diet is important, but ex-cons demonstrate that through pure tenacity you can go on to accomplish great things. Despite these people being ripped, it doesn’t mean that they are experts in fitness. Most prisoners know a little more than lifting heavy things regularly will help them build muscle. One look at the online fitness community and it’s easy to assume that you have to be an expert in what you do in order to do anything. This isn’t the case at all. You only need the most basic understanding of fitness to do what you want to do. It’s nothing more than an excuse if you believe that the only way you are going to get fit is to read lots of books and online articles on the subject. These days, modern gyms are filled with state-of-the-art equipment. It’s easy to make the excuse that without this equipment you can’t work out. This is simply not true. The notorious armed robber and Great Britain’s most dangerous prisoner Charles Bronson existed in solitary confinement for most of his adult life, and he didn’t have access to fitness apps. While in solitary confinement, he had no access to a weight room or any equipment at all. Yet his fitness reached impressive levels because all he wanted was to make himself stronger so he could take on the prison wardens. He developed a fitness regime that was later released to the general public named Solitary Fitness. This was all about getting ripped without using any equipment. He uses bodyweight exercises in order to train his entire body. It goes to show that you can achieve your fitness goals easily even without having any of the necessary equipment available on hand. It’s true that many prisoners only get ripped when they come to prison. Whether it’s due to a sense of need or a sense of turning their lives around, they decide to reflect the changes they are making to their lives within their bodies. Going out of your way to turn your life around is a huge responsibility, yet it’s one that people frequently fail to commit to. Before you can accomplish anything in the field of fitness, you must be able to turn your life around. You must make this commitment, and you must concentrate on this goal every single day. 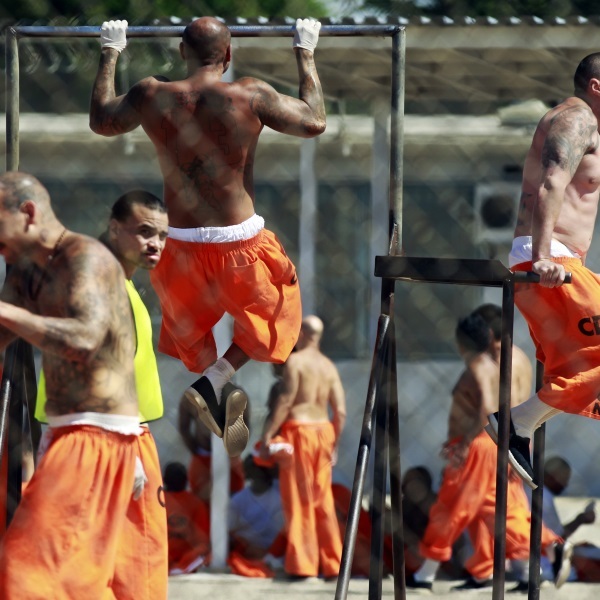 For prisoners, getting fit is a reflection of their desire to change. Fitness isn’t always easy. There will be days where you lack motivation to work out, but in prison this doesn’t happen because most prisoners are surrounded by their compatriots who lift them up. Working out in the prison gym is a ritual that brings people closer together. It’s why so many gangs choose it as their place to hang out. The concept of working out together is about creating relationships between brothers and sisters. And that displays the importance of group fitness. Having a workout buddy is the key to keeping you motivated when you are reaching a rough patch. Fitness can be hard for people who have never experienced it before. But looking to some of the least inspiring people in the world can actually do a lot of good. There’s a lot you can learn about fitness from ex-cons because they display everything that’s necessary for success. What will you learn about fitness from ex-cons?